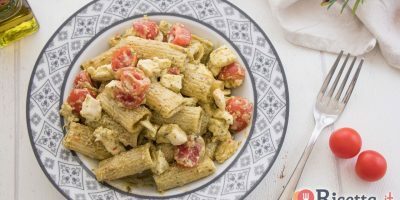 Pasta Fredda with pomodorini pesto and mozzarella is the perfect summertime dish. Served cold or room temperature it is great to bring or serve at outdoor parties, picnics and more. Simple and easy to make and filled with flavor.